I’m not sure I understand… Can someone translate? 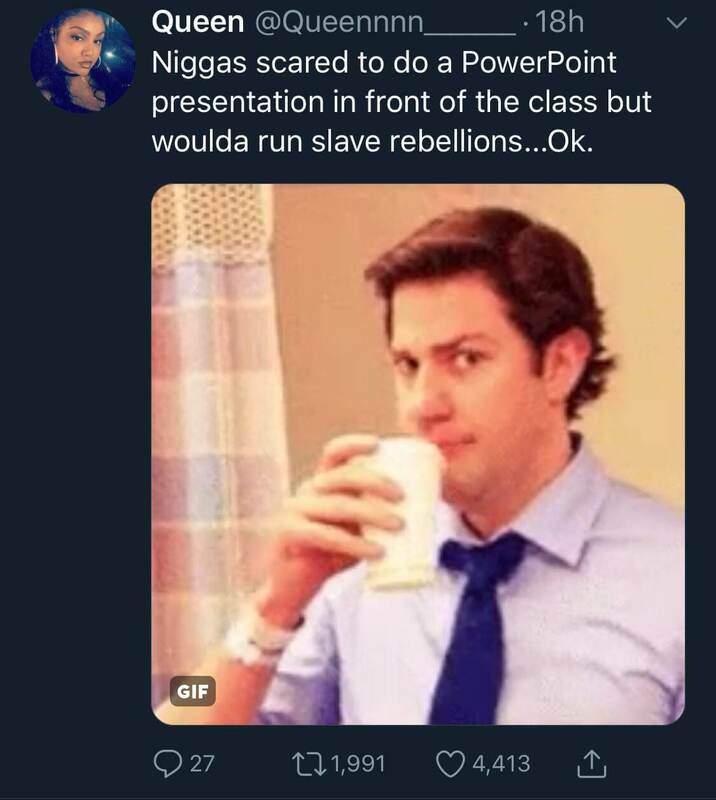 She implies her fellow African Americans talk big on how they would have led an uprising in times of slavery in America but cower in fear when given the task to present something on a projector in a meeting, using Powerpoint software. Simple case of people pretending they would do better in the past than those who lived then.